 ‘ICSA’, ‘UKRIAT’ or ‘we’ means the United Kingdom, Republic of Ireland and Associated Territories division of the Institute of Chartered Secretaries and Administrators. ‘Student’ or ‘you’ means the person registered or applying to be registered as an ICSA student. ‘Course’ means the course of study and assessment for which the student seeks registration including all support and services provided by ICSA in order for the student to complete the appropriate study. ‘Application’ means the application for registration submitted by the student in accordance with the student rules and regulations. ‘Agreement’ means this contract between ICSA and the student and comes into effect on the date that an application is received and accepted by ICSA as suitable for registration and notice of such acceptance has been issued to the student. 1.1 When you register as an ICSA student and receive confirmation from ICSA that you have been registered, you can describe yourself as an ‘ICSA student’. You cannot describe yourself as a member of ICSA or as a chartered secretary until you have completed the Chartered Secretaries Qualifying Scheme, have fully satisfied the requirements of the Byelaws for election to membership and have been elected to membership by ICSA’s governing body. 1.2 As an ICSA student, you agree to behave in accordance with the ICSA Code of Professional Ethics and Conduct. If you fail to do so, it could lead to disciplinary action and could affect your ability to continue studying or, on completion of the professional examinations, to be accepted as an ICSA member. 2.1 You may register with ICSA as a Charity Law and Governance student at any time. 2.2 You must use the Charity Law and Governance online registration process or student registration paper form on the ICSA website, www.icsa.org.uk. 2.3 When you submit your form you also need to pay the course fee. Please note that once registered, the course fee is non-refundable. 2.4 You will not be registered as a student until payment of the course fee has been received in full. • digital copies of the syllabus, study materials, study skills booklet, sample and past papers and mark schemes via your secure MyICSA area on our website. 2.6 The Institute is not responsible for non-attendance of webinars, non-submission of practice questions or non-entry to the examination. 2.7 There are no exemptions available for this qualification. 3.1 All fees are payable to ICSA in sterling. Other currencies will not be accepted. 3.2 You need to pay the correct fee at the same time as you register. 3.3 Your application will not be processed until ICSA receives full payment for the course. 3.4 ICSA reserves the right to either withdraw a student’s examination entry or withhold their examination results until any outstanding fees are settled in full. 5.1 You must select your examination session for the exam paper at the time of registration. If you do not indicate the exam session you are entering for when you complete your registration form, you will be entered for the next available exam session by default. 5.2 The qualification is time limited – entry to sit the exam paper is limited to two examination sessions. If you do not complete the exam within these two examination sessions, further examination entry fees will become payable. 5.3 Cancellation of, alterations to, or deferments of, examination entries will only be permitted up to and inclusive of that session’s exam closing date, i.e. : 1 October (November session), 1 April (June session). 5.4 An administration fee of £30 per change request will be charged and must be paid prior to the request being processed. 5.5 Changes to examination entries after the closing dates will not be permitted other than in exceptional circumstances. 5.6 Failure to indicate an examination session on the examination form will result in the student automatically being entered to sit the next available examination session. 5.7 When entering for an examination students should ensure that they allow sufficient preparation time to maximise their chance of success, last minute exam entry is not advised for examinations at this level. 5.8 If you do not complete the course within the time period allowed, you will be removed as a student. 5.9 ICSA reserves the right to use your examination answers. ICSA will always make the material anonymous and it would usually be used for study support purposes only. 5.10 After your exam entry has been confirmed, if you want to change it or defer to another session, you must do this before the closing date for exam entry. 5.11 If you want to change or defer your exam entry you will need to pay an administration fee for each request before ICSA can process this. 5.12 After the closing date for entry for the examination, you will not be able to change your entry unless there are very exceptional circumstances. 5.13 After you enter to sit an exam, you cannot transfer your exam fee to another module or to another student. 5.14 We need to apply these rules for exam entry to all ICSA students, but we will consider exceptions in individual cases if there is sufficient supporting evidence. 6.1 Exam admission slips will be published around five weeks before the date of the exam. The admission slip will include the details of your exam centre. 6.2 You will need to log in to MyICSA to download your exam admission slip. 6.3 You should check your exam admission slip carefully and contact ICSA immediately if you think the information there is not correct. 6.4 If you are unable to download or print your admission slip, you must contact ICSA. 6.5 You must read and comply with the ICSA instructions to candidates, available under the MyICSA section of the ICSA website. 7.1 If you are unable to sit an exam for reasons such as ill health or a close personal bereavement immediately before the examination, you can apply to postpone your entry until the next session. 7.2 Postponements are granted at ICSA’s discretion and an application for postponement must be supported by medical certificate(s) and/or other relevant documentation. ICSA cannot consider a postponement without the supporting documentation. 7.3 Postponements due to work commitments are not permitted under any circumstances. 7.4 If you are applying for postponement you must contact ICSA as soon as possible. The latest you can contact us is four weeks after the exam. 7.5 If ICSA allows you to postpone an exam, you will need to take it at the next exam session. 7.6 You will need to pay a postponement fee if you postpone your examination. 8.1 If you are absent from an exam without the permission of ICSA, this will be counted as a ‘Fail’ result. 8.2 If you are absent from an exam for a good reason, you can contact ICSA to explain why. At ICSA’s discretion, your result may be changed from ‘Fail’ to ‘Withdrawn’. 9.1 Exam results are published in the MyICSA area of the ICSA website and are sent by email. 9.3 If you believe any circumstance may have affected your performance in the examination, you may request for this to be considered before results are released. You must inform ICSA in accordance with the instructions outlined in the ICSA instructions for candidates. 10.1 Failing any ICSA exam four times. An ‘Absent’ result will count as a fail. 10.2 Not attempting any ICSA exams for a period of two years. 10.3 Not completing the ICSA Level 4 Certificate in Charity Law and Governance within the required time limit. 10.7 Non-payment of student fees. 11.1 To abide by these student rules and regulations as stipulated from time to time. 11.2 To undertake the appropriate course of study under your own responsibility as to how, when and where such study shall take place. 11.3 To observe any deadline dates set by ICSA for examination entry, exam deferral and postponement, request of script reports and other matters related to your course. 11.4 To inform ICSA of any breaks or delays in your study programme which prevent you from taking the exam within two consecutive exam sessions. 11.5 To keep any information provided by ICSA and any correspondence with ICSA confidential. 11.6 To be responsible for any consequences arising out of the publication, loss or disclosure by you of your online registration information such as MyICSA username and password. 11.7 To remain responsible for all fees and charges and to pay all such fees and charges as stipulated by ICSA for the course. 11.8 Not to infringe, and to take all reasonable steps to protect, the copyright or other intellectual property rights of ICSA. 12.1 To make available at regular intervals a programme of examinations/assessment necessary to complete the qualification and to allow the student entry to the first available date chosen by the student and notified to ICSA in accordance with the student regulations. 12.2 To treat our students with courtesy and respect. 12.3 To treat our students fairly and consistently. 12.4 To deliver a quality service to our students. ICSA reserves the right to terminate the student’s registration at any time and without notice in the event that the student breaches any of his or her obligations under this agreement or takes any action which, in the opinion of ICSA, might be construed as bringing ICSA into disrepute or for any other reason which, in the opinion of ICSA, justifies such action. ICSA shall not be liable for non-performance of any of its obligations under the agreement due to circumstances beyond its reasonable control. The agreement and all rights and obligations of the parties hereto shall be governed and construed in accordance with the laws of England and, unless otherwise agreed, the parties hereby submit themselves to the exclusive jurisdiction of the English courts. Nothing in these terms and conditions shall operate to affect the statutory rights of either party.